OCTOBER HORROR PARTY REVIEW #18: Hausu (House) (1977) – dir. 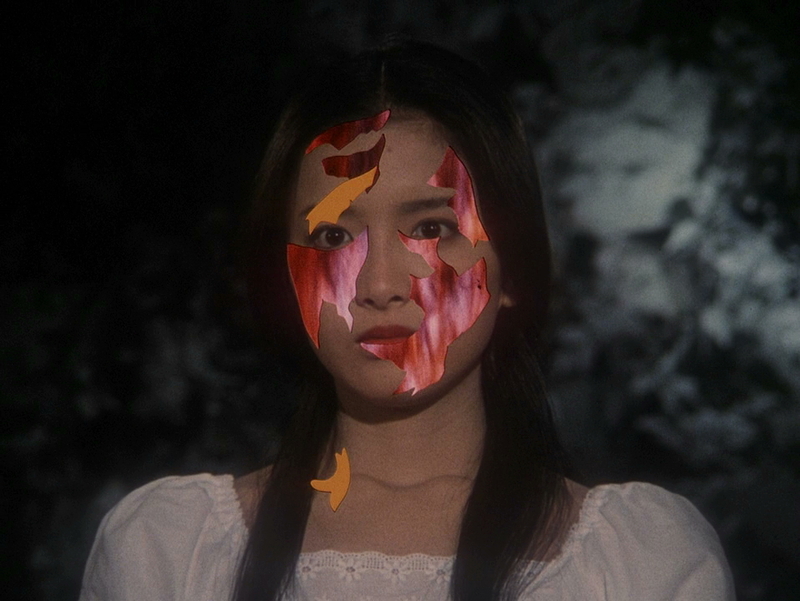 Nobuhiko Obayashi | Films Like Dreams, Etc. 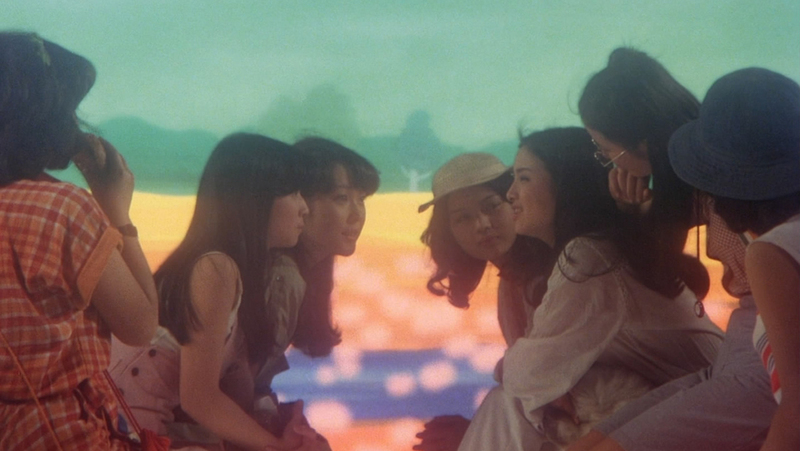 During and immediately after my initial viewing of the Japanese classic psychedelic horror House, I had the reaction that I think most people had after watching this film – that being “what the [explicative] did I just watch?!”. Indeed, even after a second viewing on 35mm and a third viewing on DVD from Criterion, I’m not so sure if I’m that much closer to unlocking its mysteries. I’ve always felt like I should be looking for any solid artistic merit to all the rowdiness unfolding before my eyes – but then some guy gets turned into a giant pile of bananas and, once again, all hope is lost. Simply speaking, it’s such a wild film, and I think that’s enough reason to watch it at least once. It’s one of those kinds of movies that must be seen to be believed. Simply speaking, the plot basically follows seven teenage girls who goes to visit one of the girls’ aunt in her country mansion. Upon embarking, everything goes terribly wrong and various happenings in the house become progressively more and more disturbing and surreal. Now, this is just the bare bones of the story, and I think it’s easy to say that the film itself is far more fascinating that it seems on the outside. Visually, I haven’t seen anything quite like it. From the beginning, it is essentially a vibrant collage of Easter egg colors, quirky transitions, and a “smile and wink at the camera” style of acting that could probably best be exemplified in an episode of Saved By The Bell. It certainly is a wacky film from the get-go. But little do viewers know, the narrative is only bound to get stranger and stranger. That’s right, this movie is that certain special work of art that somehow incorporates singing cats, dancing skeletons, pianos with teeth, riotous martial arts sequences, spontaneous combustion, and literal gallons of blood all in one neat little package. In many ways, House is almost indecipherable – although I’ve heard a number of interesting interpretations of the material. Considering that this film centers around a group of young ladies with superficial nicknames – Gorgeous, Fantasy, Sweet, et al. – it could possibly be a tale outlining the horrors faced by women who must survive in a society that is entirely against them. I am entirely on the side of this theory; it surely must explain the absolutely ridiculous nature of this film which, in some ways, may even be a very wide satire of such a patriarchal world. I understand I may really be reaching here, but I think the beauty of such avant-garde and surrealistic cinema is its ability to project such radical ideas in subtle ways. Which is amazing, considering that absolutely nothing else about House is quite so subtle. Despite the ambivalence House contains within itself and my overall lack of confidence over what this film actually means, I’ve always really loved it. I highly enjoy movies that fully develop the concept of cinema as an experience, and this surely is an experience in every definition of the word. The second time I watched this film was during a double-feature with Věra Chytilová’s Daisies (which may very well be my favorite film of all time), and it turned out to be possibly the best double-feature experience I have ever had. Both films are definitely surprising in their artistic ambition, especially with their juxtapostion of women and unwomanly objects and actions. The difference is that it took much longer for me to realize the feminist agenda that House also holds. In the future, I really want to write a longer analysis on this film, in my vain attempts to dig through its piles of symbolism and metaphor. This should definitely be a worthwhile experience – after all, the viewing experience of House alone is worth every second in the world. 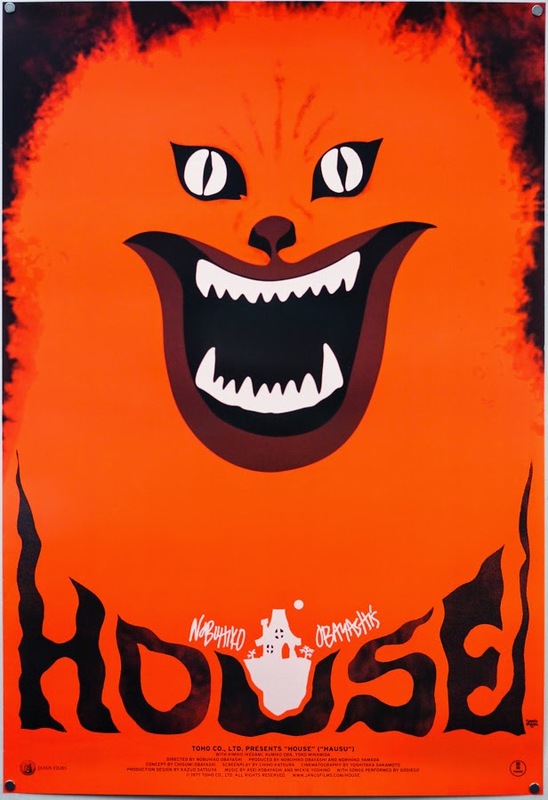 This entry was posted in October Horror Party, Reviews and tagged 1970's, Hausu, horror, House 1977, Japanese, Nobuhiko Obayashi, October Horror Party. Bookmark the permalink.